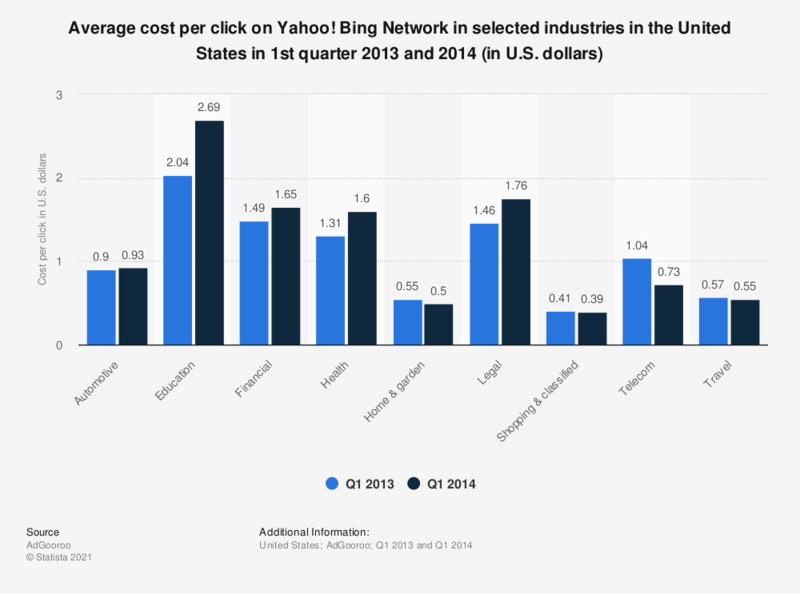 The timeline shows the average cost per click on U.S. Yahoo! Bing in the first quarters of 2013 and 2014, by industry. The average CPC for legal ads on the network increased from 1.46 U.S. dollars in the first quarter of 2013 to 1.76 U.S. dollars in the first quarter of 2014.